We Are Throwers has finally been released! After two years of production, Piotrek Smietana's video love letter to yoyoing is now available to everyone who backed the Indie-Go-Go campaign as well as for purchase by everyone else. We Are Throwers has finally been released! After two years of production, Piotrek Smietana’s video love letter to yoyoing is now available to everyone who backed the IndieGoGo campaign (you should have received your download code via email) as well as for purchase on Reelhouse.com. Can you handle this massive trick dump from Eric R? Three minutes and fifty-two seconds of utterly fantastic yoyo play from this #trickcircle MVP isn't nearly enough, but at least you can re-watch it 80 or 90 times. Can you handle this massive trick dump from Eric R? Three minutes and fifty-two seconds of utterly fantastic yoyo play from this #trickcircle MVP isn’t nearly enough, but at least you can re-watch it 80 or 90 times. Loris Rosa, your absolute favorite yoyo player named “Loris”, dropped a new video for the YoYoFactory Edge giveaway happening on Instagram right now. As you might expect, it’s &*(^$# awesome. Enjoy. That’s a mouthful, but what it means is better availability of YoYoFactory yoyos in the UK, so that’s a good thing. The full press release is below…here’s hoping this is a sign of good things to come for the UK yoyo scene! 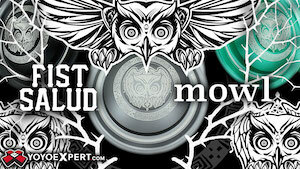 YoYoFactory has partnered with Wilton Bradley to distribute their expert yoyos line throughout the UK. 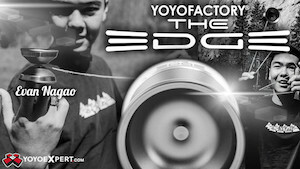 YoYoFactory has tapped Wilton Bradley to act as UK distributor for their expert line of YoYos, the firm has announced. “We are pleased to announce that Wilton Bradley has agreed to be our new distribution partner in the UK,” said Hans ‘YoHans’ Van Dan Elzen, founder of YoYoFactory and international YoYo superstar. USA-based YoYoFactory was founded in 2003 and designs and manufactures the world’s best performing Yo-Yos for professional players, World Record holders, National and World Champions. 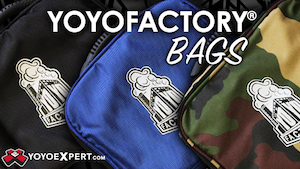 YoYoFactory also makes accessible YoYos to suit a varied range of styles and skill-levels. The International Juggler's Association has a monthly video series where they feature one juggler and a full video of their best tricks. There's a lot of original stuff mixed with a lot of just crazy technical tricks, and for those of you who are a little interested in both I thought you might enjoy this month's video from Matan Presberg. The International Juggler’s Association has a monthly video series where they feature one juggler and a full video of their best tricks. There’s a lot of original stuff mixed with a lot of just crazy technical tricks, and for those of you who are a little interested in both I thought you might enjoy this month’s video from Matan Presberg. The latest video from Tech Creators features Adrian Velez showing off tricks stacked on tricks stacked on tricks stacked on tricks. Amazingly good. Yoyo used is the Mythril YoYos Monolith. Hey everyone! It’s time to announce the winners for the Scales x YoYoNews video contest! Thanks to everyone who submitted a video. 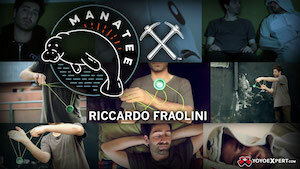 It was great to see the different approaches for the contest and there was some great stuff submitted. 1st place goes to: Zach Gustafson! “Standoff” was beautifully filmed with great colors and use of angle changes. The premise is admittedly a little cheesy, but we play with yo-yos so I’m glad Zach took a lighthearted approach toward his submission. Plus, it made me laugh. Is there anything else you can really ask from a yo-yo video? 2nd place goes to: Daniel Predka! “The Lost Interlude” had some really gorgeous shots in the forest and really smooth tricks. Daniel had excellent use of slow-motion by pairing it with slower sections of the song. Overall I think it was maybe a little over-edited (really high contrast in some of the shots) but I thought it was a really complete package overall. 3rd place goes to: Wildan Furqon! “99% fun 1% skill” is also filmed in a forest (apparently I have a thing for yo-yo videos in forests). You can tell that the three players are all good friends and they have a good mix of tricks and styles. Plus they even threw in some 3A in there! Please contact info@yoyonews.com and Steve will get you in touch with me so we can figure out shipping for the prizes. Take a look at the other entries as well! Polo Garbkamol does what he does best in his latest video...effortlessly blows our minds with beautiful tricks that look impossible. We can't get enough of this guy! Yoyo used is the YoYoFactory Horizon Ultra. String is Kitty String XL. Polo Garbkamol does what he does best in his latest video…effortlessly blows our minds with beautiful tricks that look impossible. We can’t get enough of this guy! Yoyo used is the YoYoFactory Horizon Ultra. String is Kitty String XL.